If you are an avid shopper then you have heard of Amazon before. Amazon.com is one of the largest online retailers and it offers customers items at bargain prices. 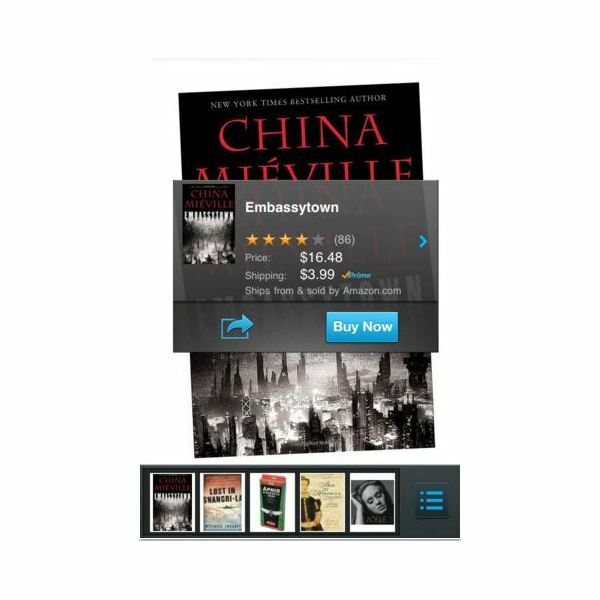 The Amazon Mobile app is an easier and convenient way to browse the site for the items you need. When launching the app you will notice a sleek interface that resembles the website. It so closely resembled the streamlined version that I felt I was on my computer, minus the scrolling of the mouse. It also has a simple layout with easy to navigate pages. Some of the features that I particularly liked were the ability to access your existing shopping cart and shopping history. This option makes it extremely easy for customers to access their information. Another convenient feature is the scan a barcode feature. I have had issues in the past with apps that allowed users to scan, but fortunately this scanner worked perfectly. It actually scanned an old book — I had no problem. The only downsides that I found were — there are no sorting capabilities or sharing options. Other than that I found this app to be very handy and easy to make transactions with. If you love to shop online then this app is definitely worth the download. 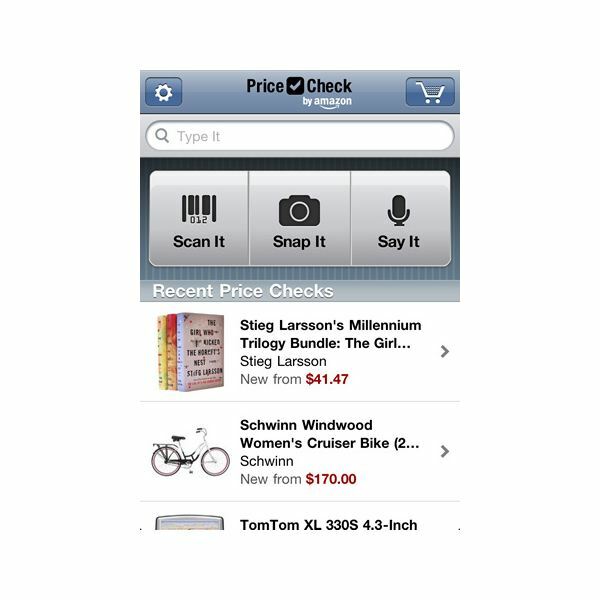 The Price Check app is an amazing idea that Amazon came up with to help their customers scan barcodes while they are shopping, and check and compare product prices with Amazon.com. The idea is genius. During the holidays consumers are always looking for a bargain and this app is intended to allow users to find the best deal while out shopping. Amazon conveniently added the options of snapping a picture, saying the name and scanning the barcode of the product, so customers have a variety of options to search. The overall look of the app is the same as their existing Amazon Mobile app. The only difference in this app that I noticed, is that it has the "Say it" option to search while Amazon Mobile does not. Other than that it does all the same things. If you have the Amazon Mobile app, then there really isn't a need for the Price Check app, unless you like to speak into your phone when you are searching for a product. It works great, just as their existing app does. For a free app it does its job but I don't think it's necessary to download both. 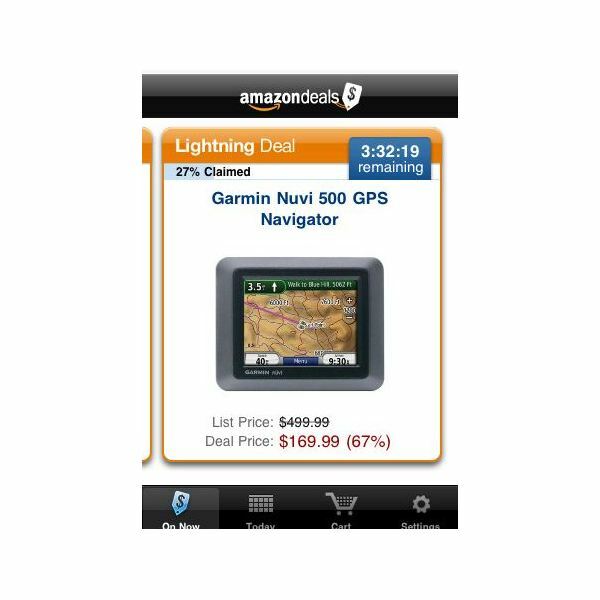 Amazon deals is a handy app that brings customers daily deals which they can purchase in a set amount of time. Upon startup, you will be asked if you are interested in push notifications, this is where the app will notify you of the daily deals. Users can select to turn on specific categories that they want to be alerted on or all. I liked this idea because the last thing I want is my phone alerting me that a car part is the deal of day. If you are an existing customer then you will find it easy to access your account information upon logging in. Like the website version, users will have access to the product information and details, customer's reviews, deal price, how much you will save, and the time left to buy the item. If you like the deal so much that you want to share it, you can email, text, Facebook or Twitter it. There were a few things that I liked about this app, One being that you can be on the go and never miss another deal. Two, that users can take advantage of the deals of the day from the convenience of their phone, and three, you can schedule reminders if you are interested in a certain category. Overall this app was fun to use. 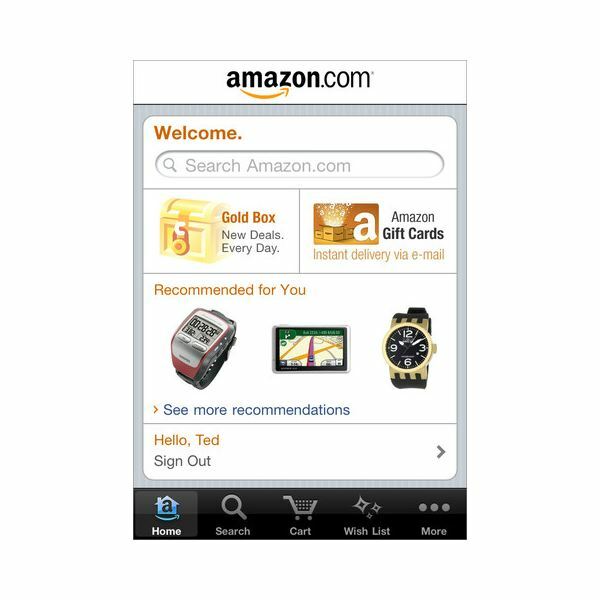 It reminded me of all the other Amazon apps by the way of its appearance and how easy it was to navigate through. I love to get a bargain and now I can with the convenience of the alert system and my handy iPhone. Flow by Amazon can identify millions of products such as, DVDs, books, household items and more. All you have to do is simply open the app and point the camera at the item you want to know more about and the app will do the rest. You will notice an array of blue dots, this is the scanning technology that Flow uses to help recognize items using augmented reality. Which is a fancy way of saying the view of reality is modified by a computer generated overlay. So how well does it really work and why do we need yet another app from Amazon? I found it to work extremely well. It does its best work when you move the camera over a barcode. When I placed my phone over a book it recognized the item immediately and brought up all of the information right on the screen. It also provided a history feature that assembled all of my previously scanned items. As for why Amazon keeps putting out more apps? I have to admit Flow is the best app that they have come up with to date. Overall I found this app to work extremely fast and smooth. The only thing that I would like to see in a future update would be the ability to zoom. Other than that I would definitely recommend trying this futuristic free app out. Overall the best Amazon iPhone app goes to… Flow. This app is remarkable. It has a very futuristic feel to it and its potential to gather information almost instantaneously is amazing. I am not sure why Amazon has so many apps that overlap, when they could just simply create one app that does it all. All of these Amazon iPhone apps work properly and have a clean, sleek interface that closely resembles their online website. I would recommend that they focus on delivering one app such as Flow that combines all of the best features of the existing apps. This would be the ultimate Amazon app that all competitors would strive to beat. Have you tried any of these Amazon apps out? If so, we would love to hear what you think. Please feel free to drop a line in the comment section below.